Cuba's own Twitter service, ZunZuneo, was actually designed by the United States. The U.S. government acknowledged Thursday it created a Twitter-like social media service for Cubans, but denied the effort was meant to subvert the island nation's communist government. To get around Cuba's iron grip control on technology and outside influence via the Internet, the U.S. Agency for International Development created an app that served as a low-tech version of Twitter (TWTR) fed by cell phone text messages. USAID, which distributes humanitarian aid, said it designed the app as part of a longstanding U.S. policy to help Cubans communicate with one another. "The purpose of the Zunzuneo project was to create a platform for Cubans to speak freely among themselves, period," said USAID spokesman Matt Herrick. "USAID is proud of its work in Cuba ... to help information flow more freely to the Cuban people." The app, called ZunZuneo -- named after the humming sound of a hummingbird -- gained modest popularity in Cuba. ZunZuneo grew to 40,000 subscribers in 2011, but it disappeared by mid-2012 amid pressure by the Cuban government. Existence of the program came to light Thursday when The Associated Press published a lengthy story detailing how ZunZuneo was developed to cause social unrest, attempting to recreate the sort of pro-democracy, Twitter-empowered protests that fueled the Arab Spring in 2011 and toppled corrupt governments in Egypt, Tunisia and elsewhere. White House Press Secretary Jay Carney said that the Obama administration was not trying to hide anything. "Suggestion that this is a covert program are wrong," said Carney. "These appropriations are public unlike covert actions; the money invested has been debated in Congress." He also noted that the U.S. Government Accountability Office reviewed the ZunZuneo program in 2013, finding that it was lawful and under proper oversight. Yet Sen. Patrick Leahy, chairman of the Senate Judiciary Committee, called the clandestine nature of the project and the risk to unsuspecting Cuban cellphone users "troubling." The United States has long sought to undermine the Castro regime in Havana. There was a poison cigar, an exploding seashell, lethal pills and a fungus-ridden diving suit. During his 49 years in power -- he transferred power to his brother Raúl in 2008 -- Fidel Castro often warned the Cuban people that the "Yankee imperialist invaders" were trying to subvert his government. There was 1961's Bay of Pigs, in which CIA-trained Cuban exiles attempted a heavily-armed beach invasion that was botched by their U.S. backers. A U.S. senate committee in 1975 revealed eight CIA attempts to assassinate Castro. In recent decades, the U.S. government has adopted a more passive approach to Cuba, including the funding of Radio y Televisión Martí, a service that delivers pro-democracy discourse to the island from its base in Miami, Fla. 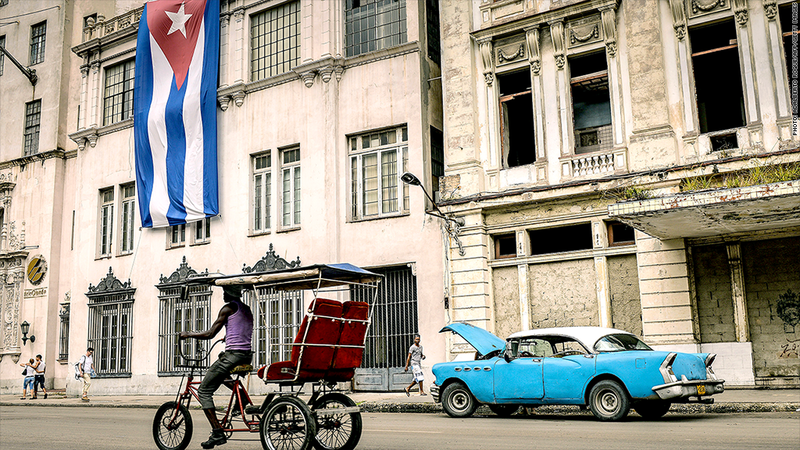 The Cuban government has tried to jam those signals with limited success. The launch of ZunZuneo was timed to coincide with more relaxed Cuban laws on technology and communication. Cubans couldn't legally buy a computer until 2007. They were prohibited from owning mobile phones until 2008. And access to the Web is scant, usually available at expensive Internet cafés. ZunZuneo might have been a secret government project, but its existence comes as no surprise, said Jorge Duany, director of Cuban Research Institute at Florida International University in Miami. Yet he questions whether the attempt ever had a chance of success. Authoritarian surveillance in Cuba is pervasive and hyperlocal -- every residential block has a government-appointed official who reports any questionable activities or anti-government sentiment. "I wouldn't expect a sudden massive explosion of people going to the streets of people fighting for change or asking for a major regime change yet," he said.